WALLA WALLA, Wash. – Jason Fox is a trend-bucker at heart, and it’s not just his tats, piercings and hip ear jewelry. 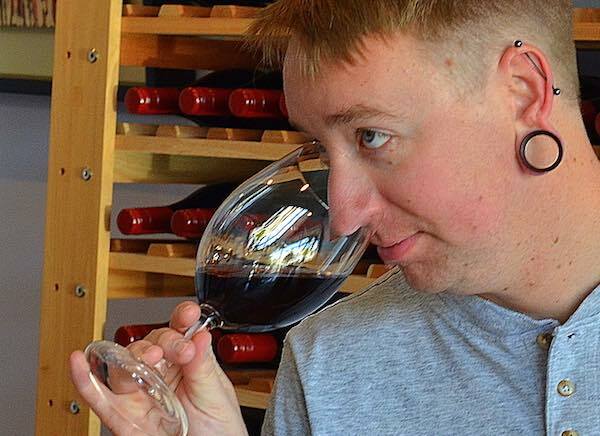 How many people do you know who started out studying astrophysics, got a degree in anthropology, and were winemakers for two wineries simultaneously by the age of 31? 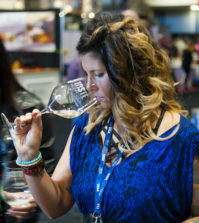 In 2011 with a strong background in science from Indiana University, Fox left a stressful sous chef position in the Hoosier State bound for Walla Walla Community College’s enology and viticulture program. 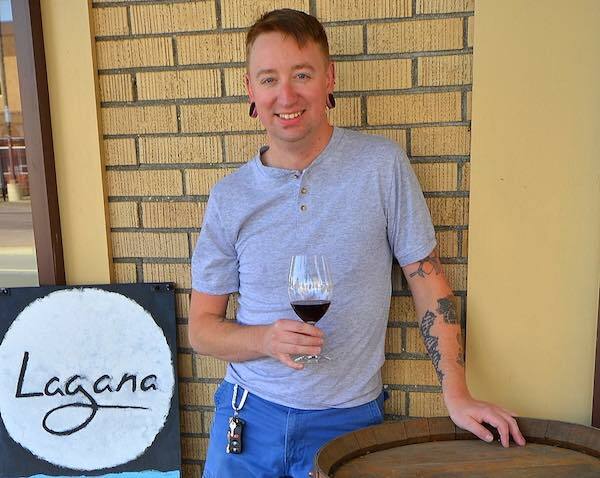 After graduating from Walla Walla Community College in 2013, he founded Lagana Cellars, at the same time making wines for Locati Cellars. He continues to juggle both jobs today. Locati is in Oregon, so during the season he spends a lot of time crossing the state line, keeping on top of the two operations. Lagana is a one-man operation. 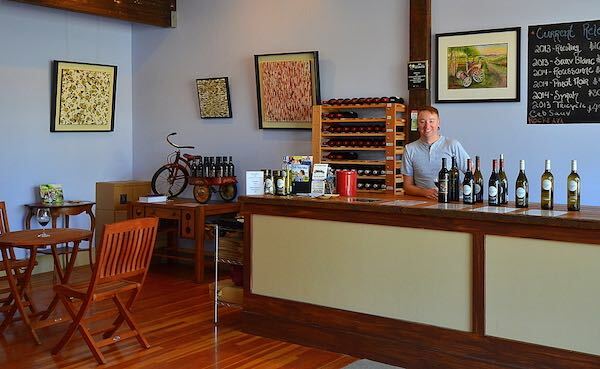 When he’s not on the road, Fox is harvesting, crushing, bottling or working in the downtown tasting room on Rose, across the street from the Marcus Whitman Hotel. Processing about 20 tons of fruit per year for Lagana alone, he’s a model of fully committed over-employment. 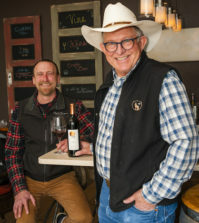 In addition to making wines in two states, Fox also bucks the trend by specializing in making white wines in Walla Walla – an area where 95 percent of the grapes grown are red. 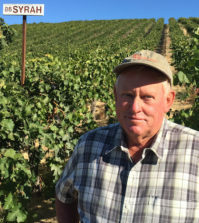 For that reason, he sources his white grapes from the broad Columbia Valley, where he believes that the white varietals grow better. A big part of Fox’s job is educating red wine drinkers. His favorite white is Roussanne, a grape that’s native to France’s Rhône Valley and unfamiliar to many of his customers. “It’s perfectly balanced,” he said. “It has good acidity to it, the alcohol’s not too high, and I just like the way it tastes. It takes to oak well. Fox also has also made it his mission to educate the wine-drinking public about screwcaps. 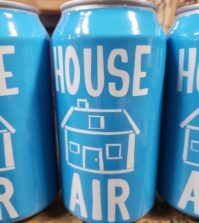 Screwcaps also are less expensive, he said, which helps him keep the cost of his wines down while also eliminating the possibility of cork taint and thus ensuring consistency of his product. Another cost-cutting measure that’s integral to Fox’s winemaking style is the use of “oak alternatives,” which he uses instead of new barrels. He uses oak staves and oak chains, as well as powdered tannins made from chestnut, which he adds even to white wines. And he credits the education, winemaking skill and viticulture knowledge he received at Walla Walla Community College for much of his success.